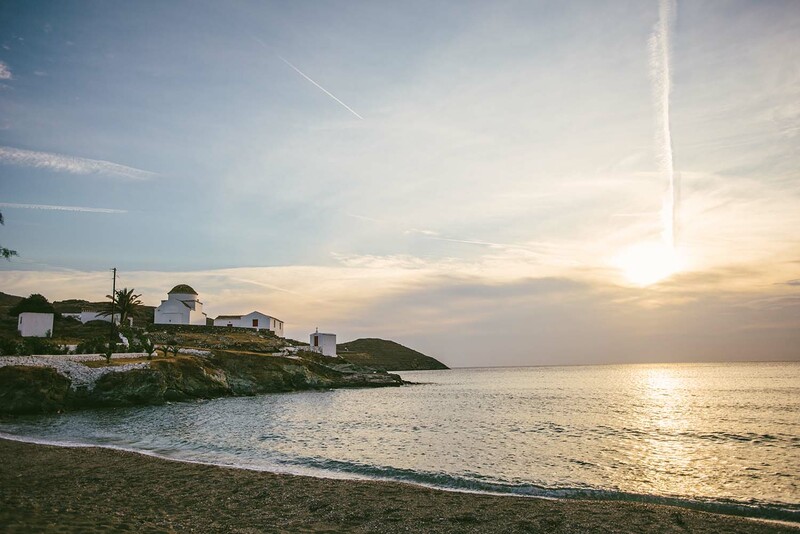 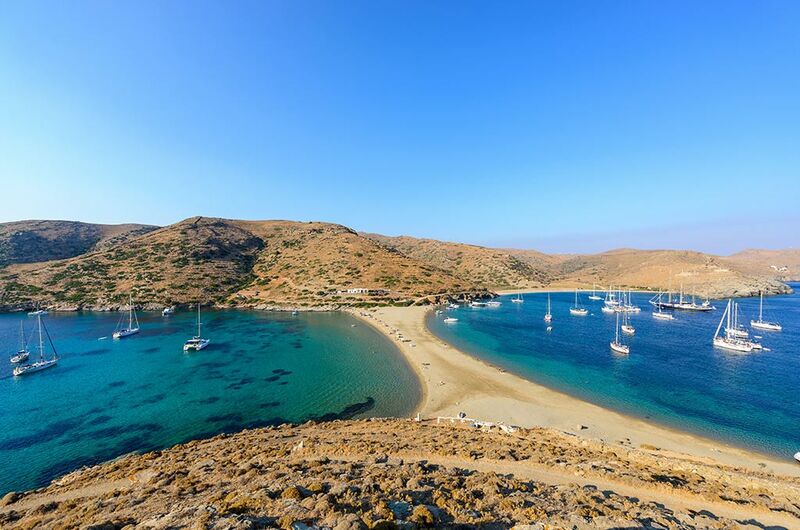 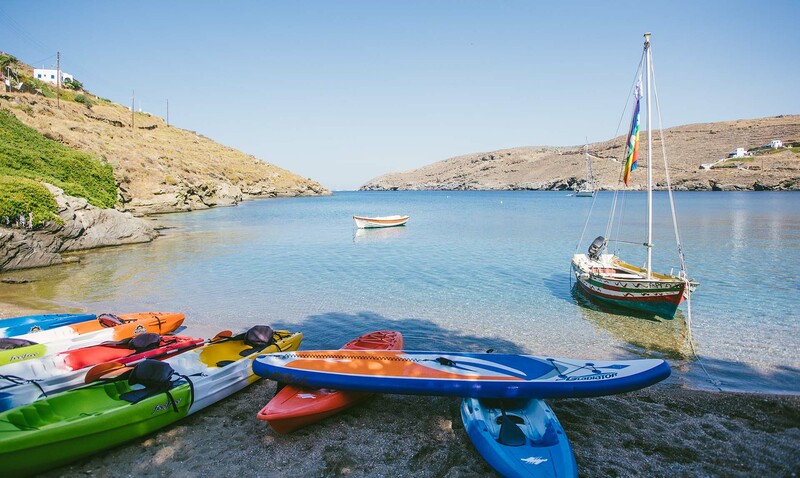 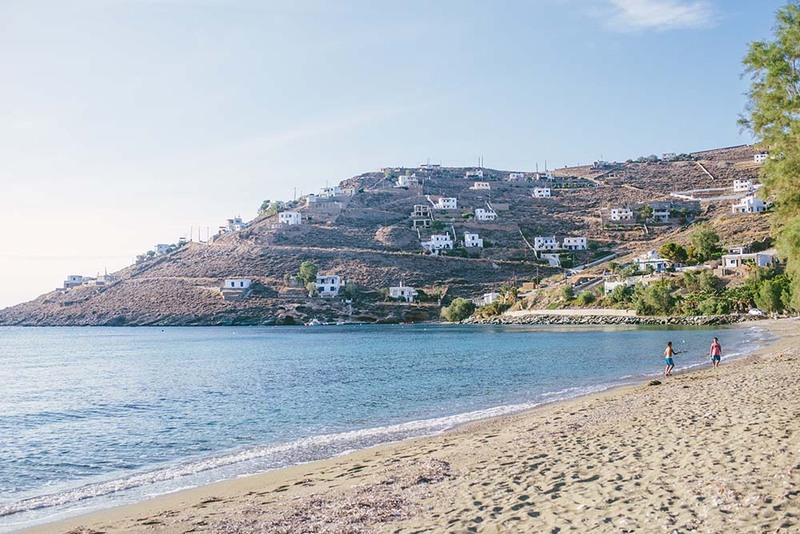 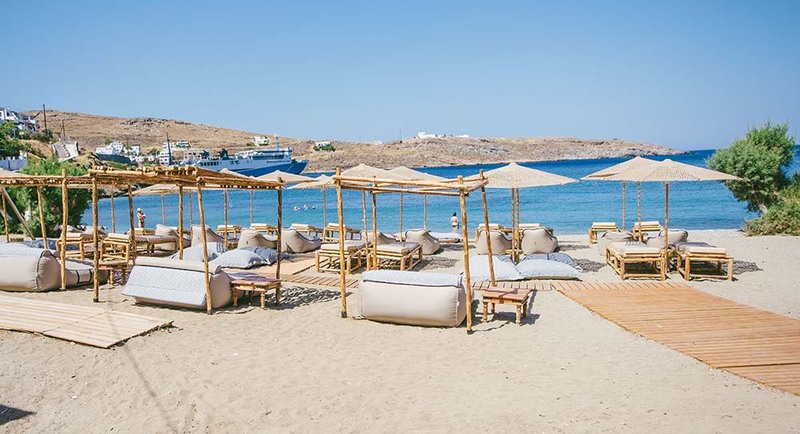 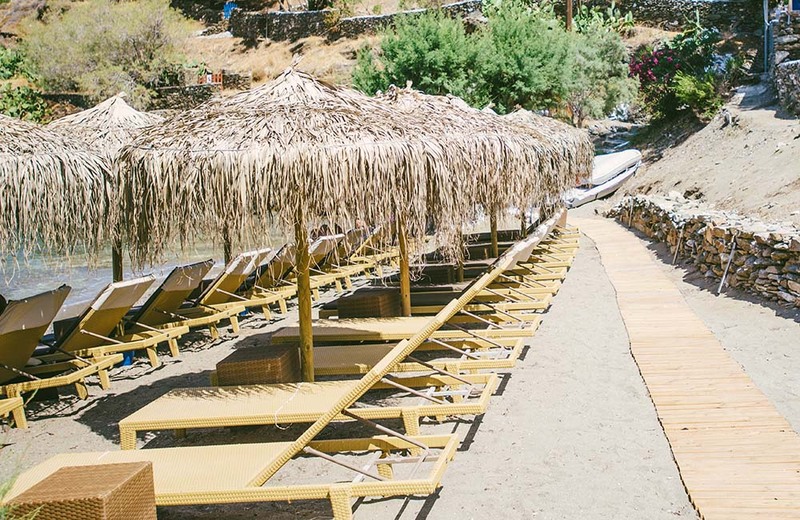 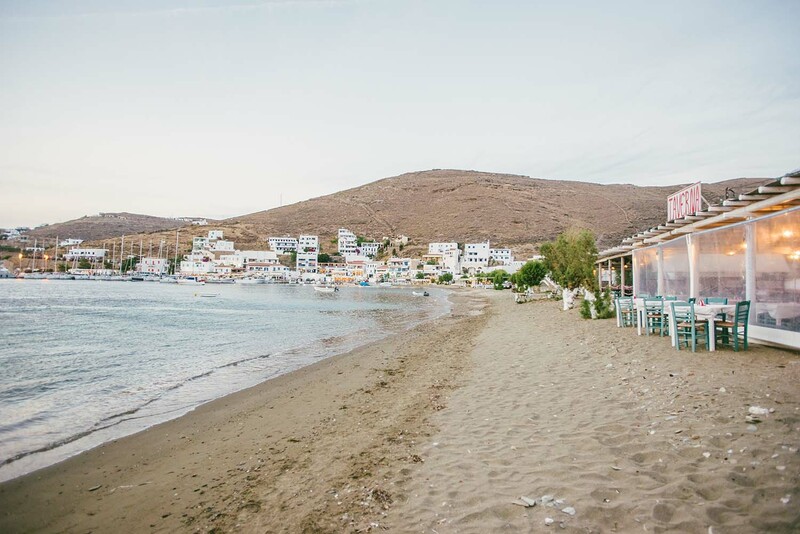 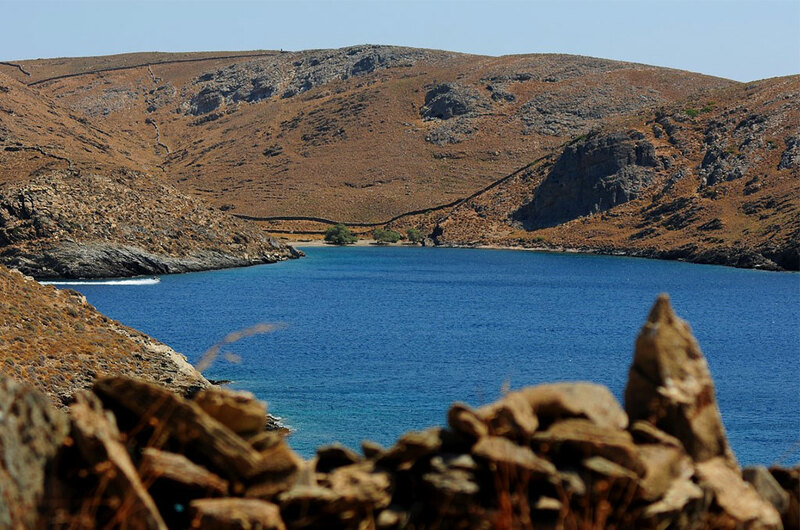 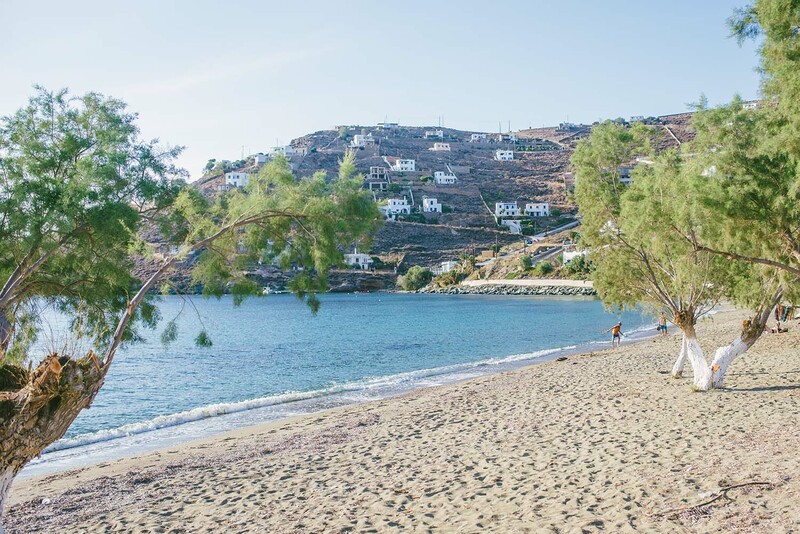 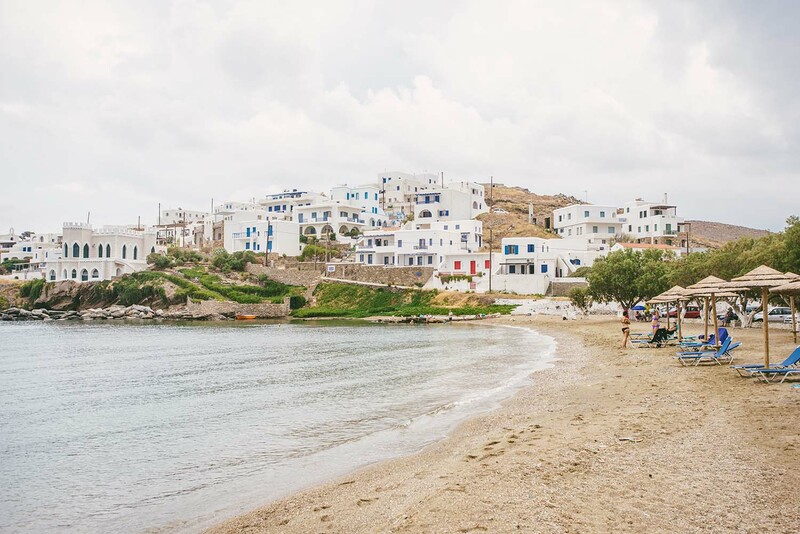 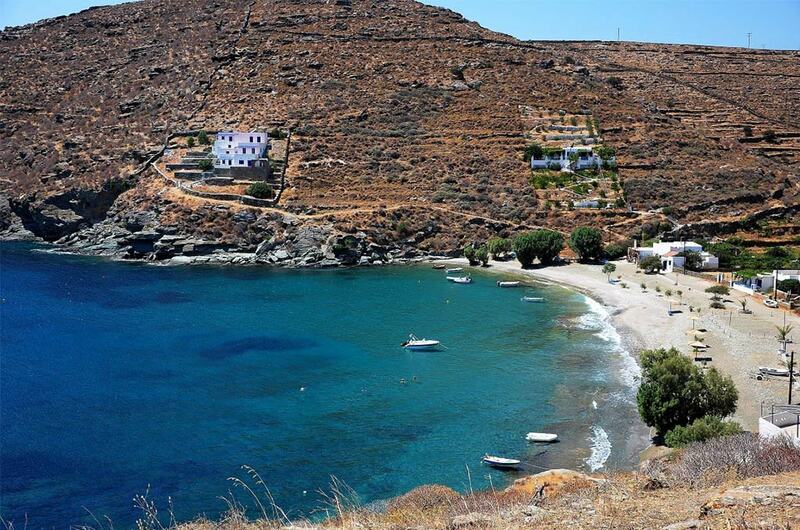 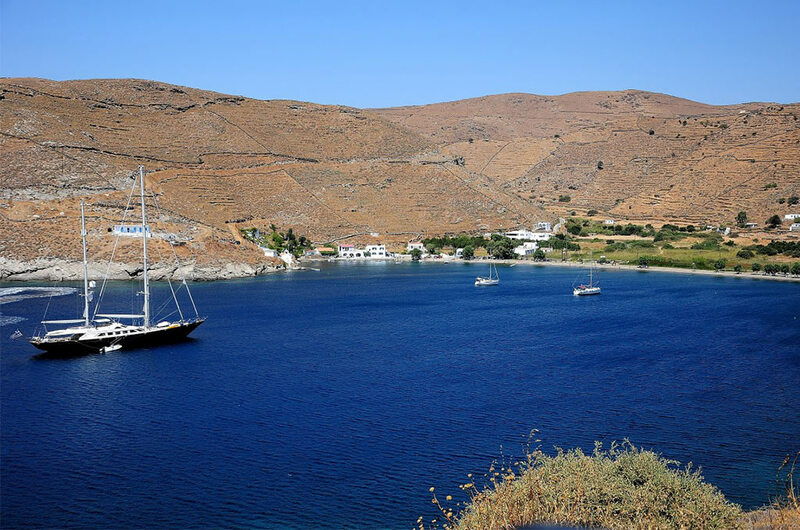 Kythnos has beautiful beaches that form scenic coves, coves with crystal clear waters and natural shade that make up the salt mines. 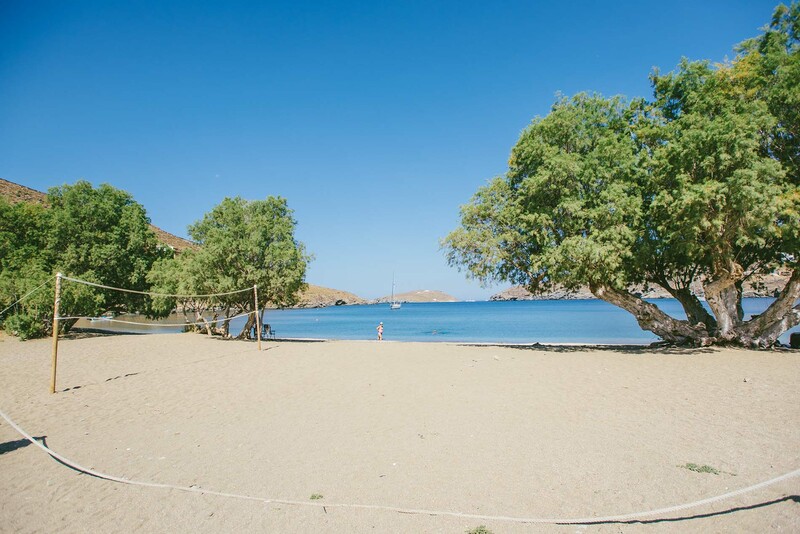 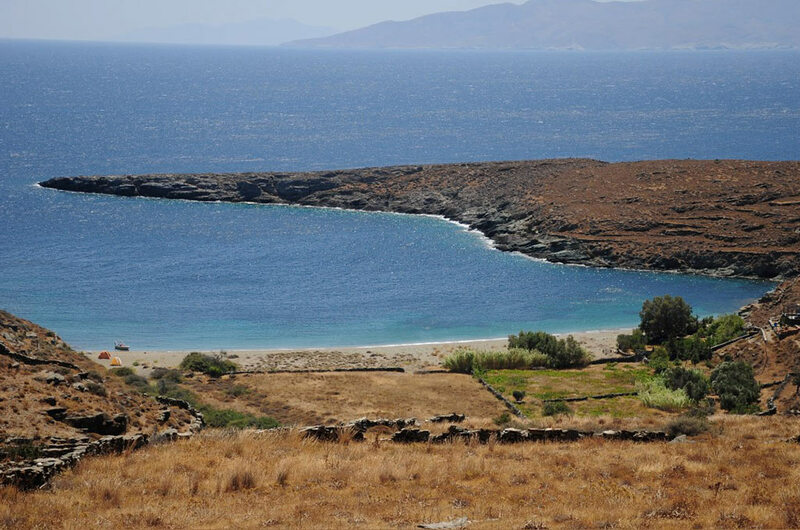 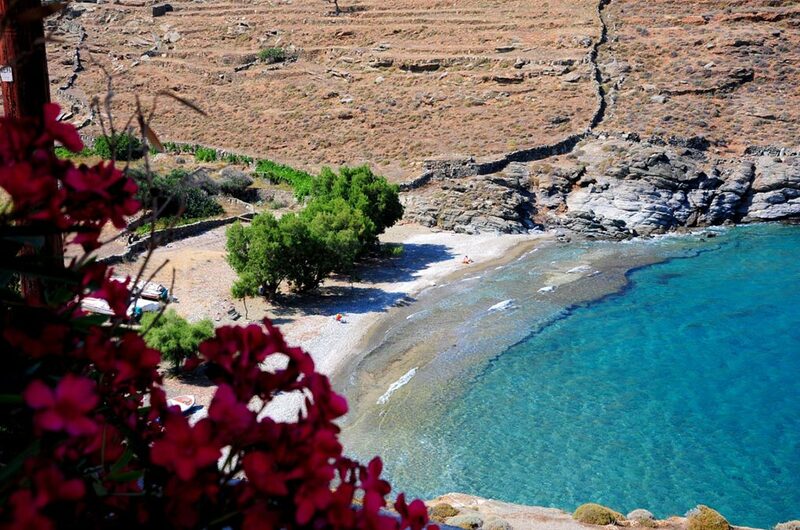 The most famous beach on the island is Kolona. 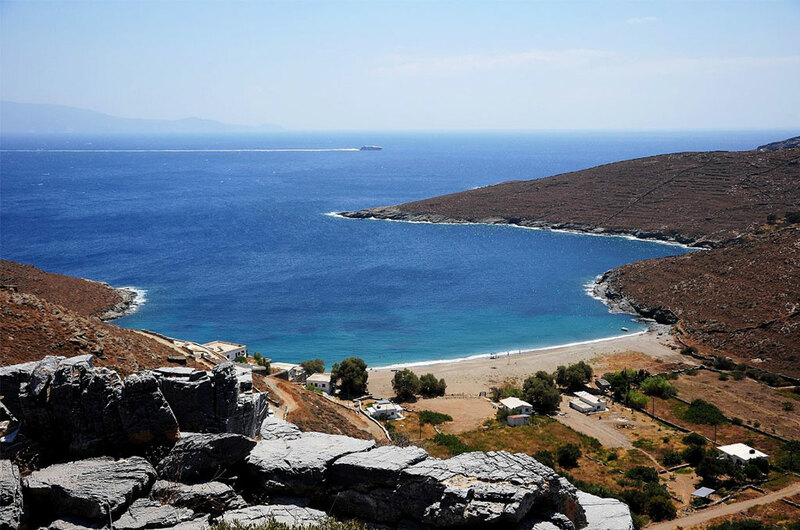 Visit it and you will be impressed by how a sand strip separates the sea in the middle forming two sandy beaches on the same shore so spectacularly. 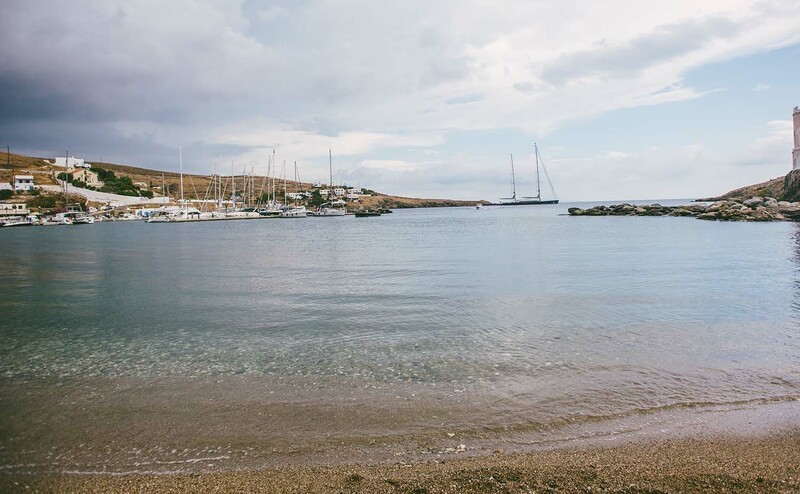 Leaving the port of Mericha towards the direction of Chora, we first encounter the small sandy beach of Martinakia and then Episkopi and Apokrousis beaches. 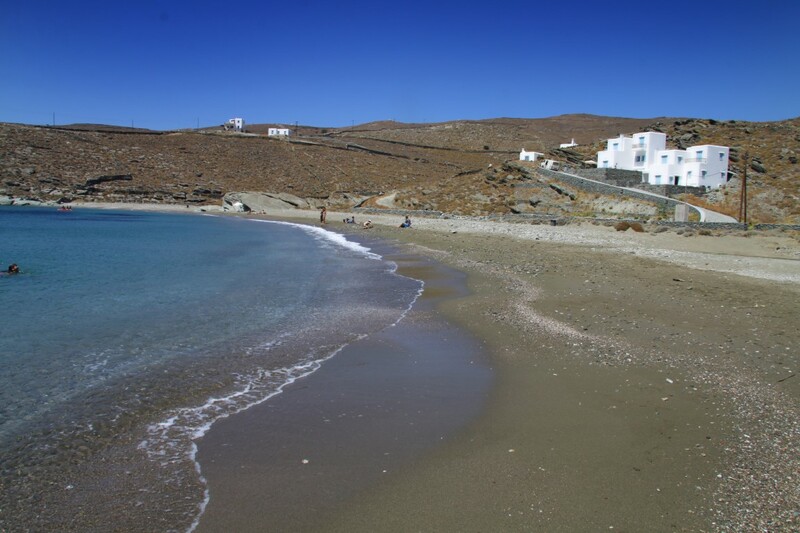 They are the only organized beaches on the island, the most crowded ones and both have thin sand. 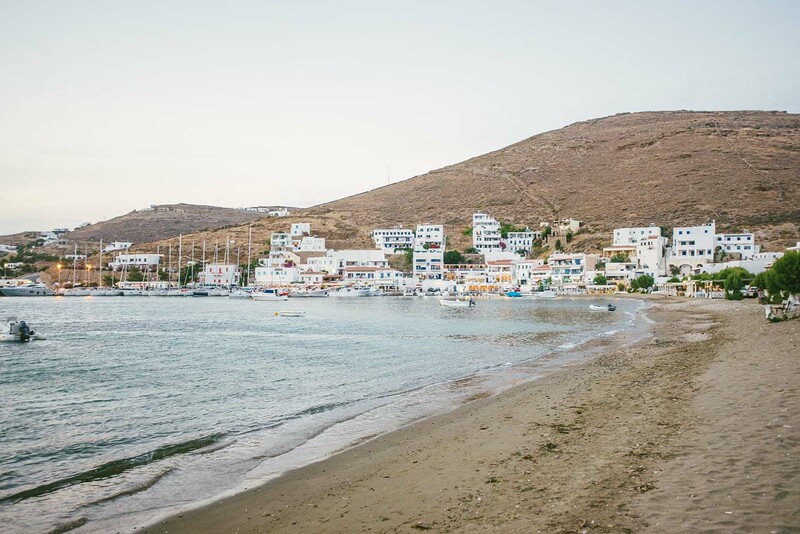 Passing through the residential area of Chora, we reach the bay of Loutra. 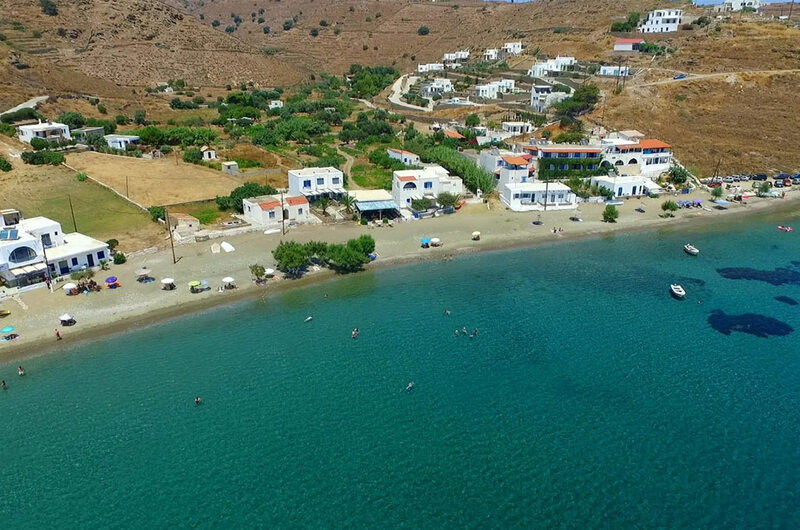 If you dive at the edge of the beach, you will enjoy the beneficial properties of the thermal springs that end up in the sea. 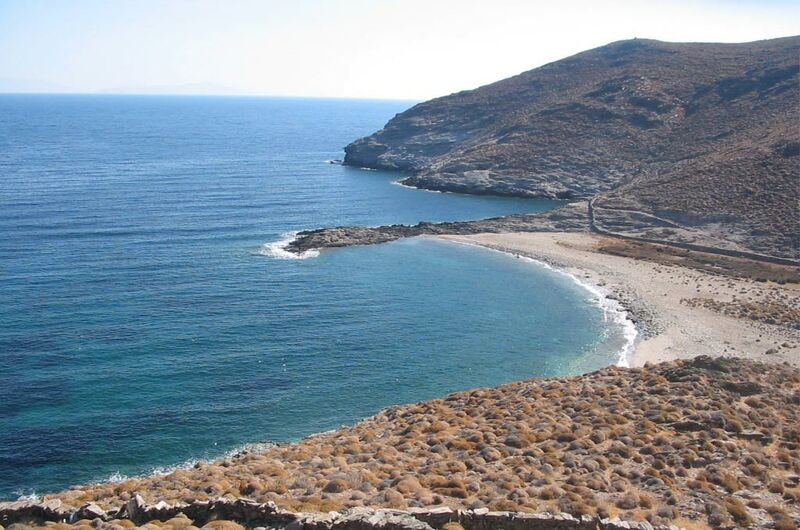 Near Loutra, you will find the beach of Aghia Irini, with the picturesque residential areas of Arkoudi and Schinari, while on the northeast, you will find the beaches of Kavourocheri, Potamia and Aghios Sostis, which make up a landscape of unique beauty. 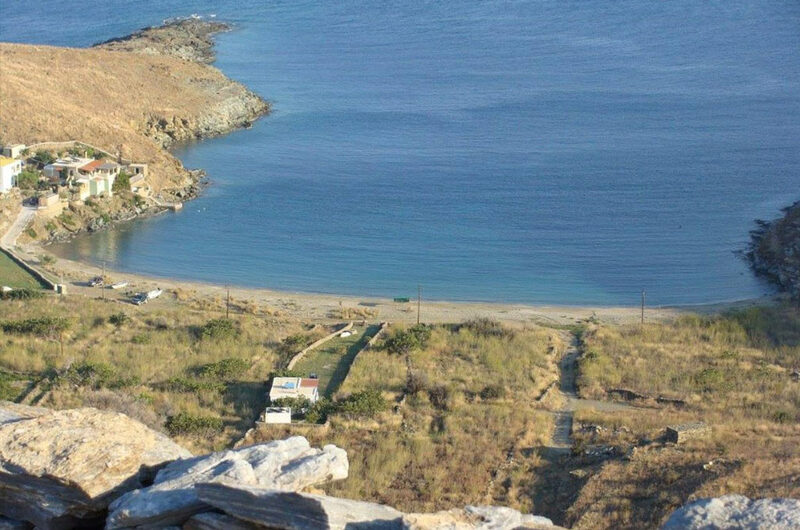 Crossing the road from Chora to Dryopida you will have the opportunity to visit the beaches of the eastern side of the island. 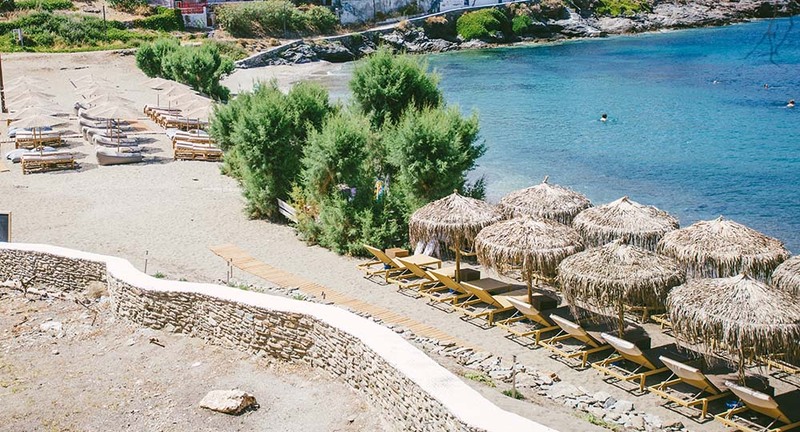 Zogaki, Naoussa, Kouri, Agios Stefanos, Agios Ioannis and Vassilika, the bays of Lefko, Liotrivi and Kalo Livadi are waiting for you to enjoy them and in some of them you can find rooms to let and picturesque taverns with homemade food. 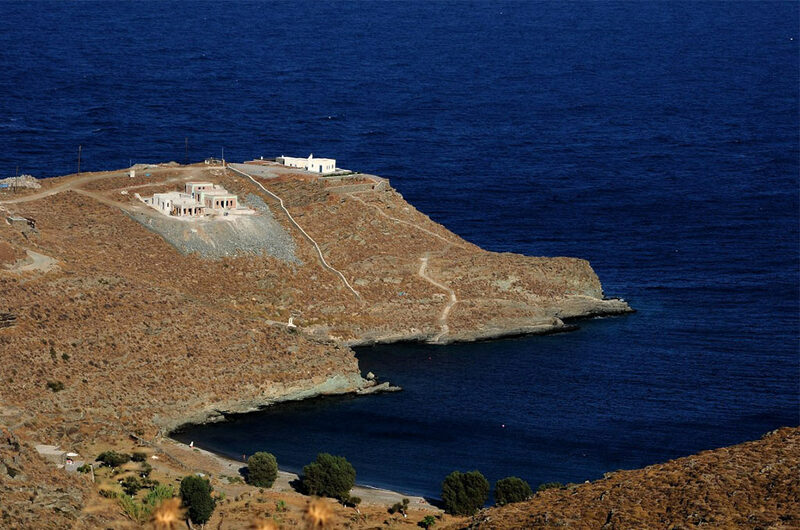 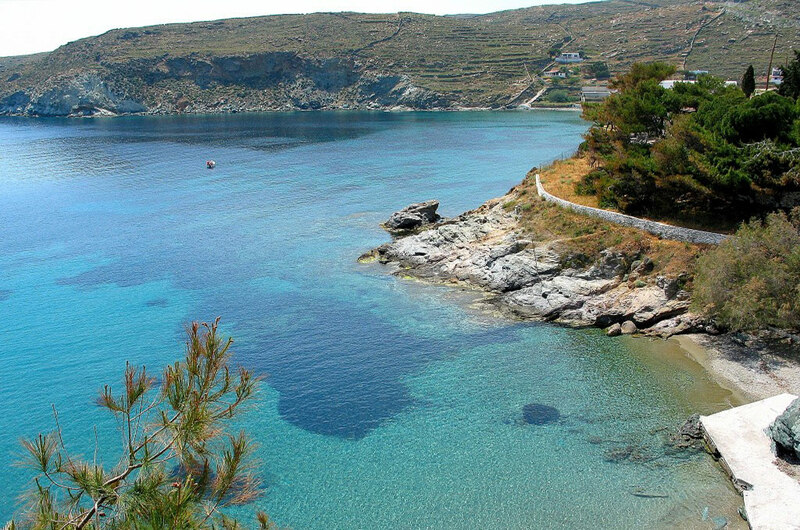 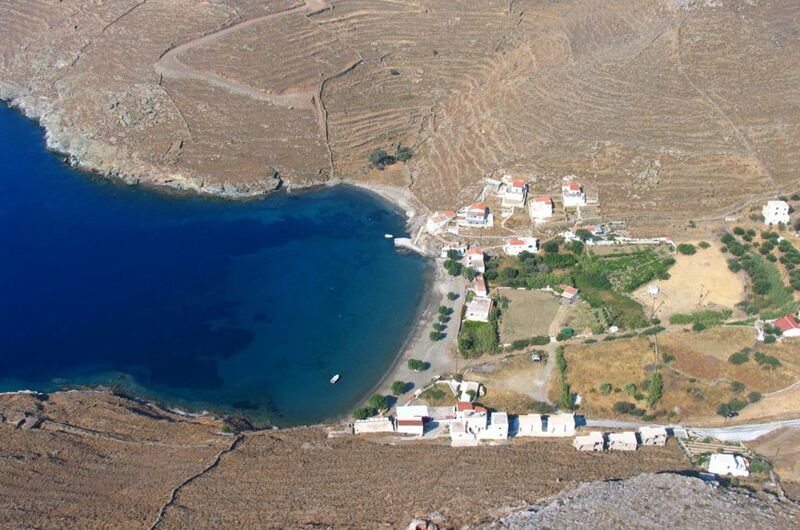 Seven km from Driopida, at the southeastern end of the island, is the only pine-tree settlement of Panagia Kanala. 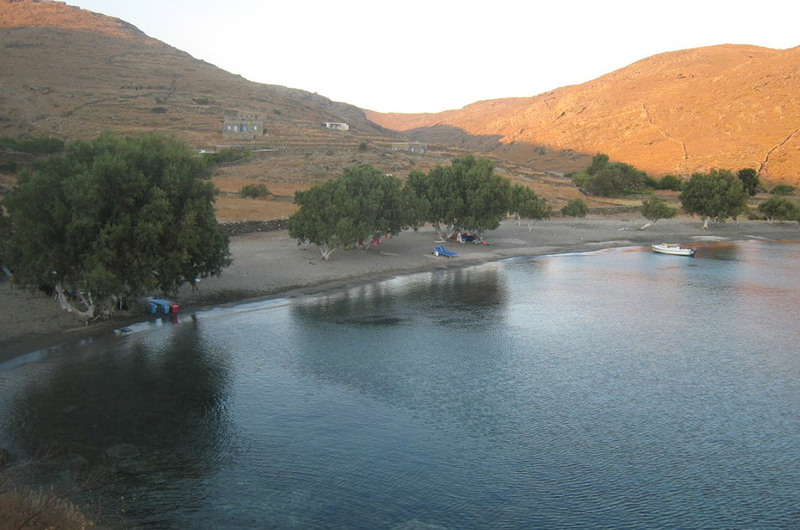 Around the church, the bays of Megali Ammos, Ammoudaki and the Adonides spread out. 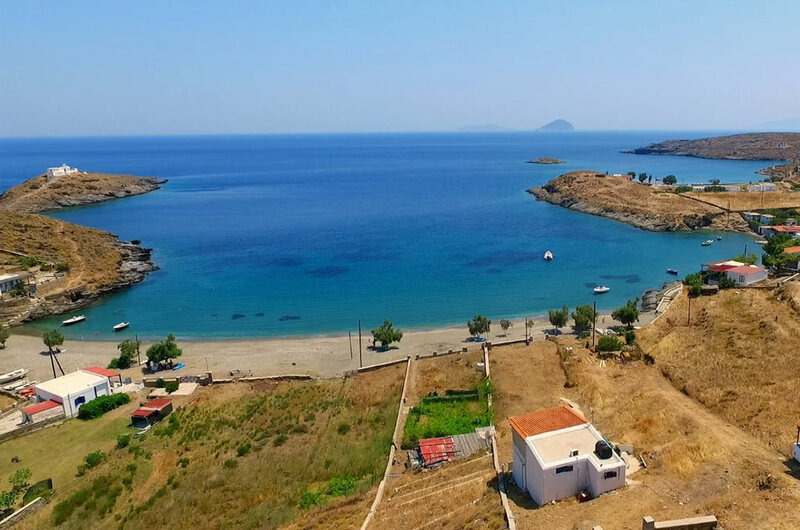 If you want an absolutely peaceful environment to enjoy your swim, you can visit the beaches of Skylos, Gaidouromanra, Simoussi in the southeast and Mavrianos and Stifos in the southwest of the island. 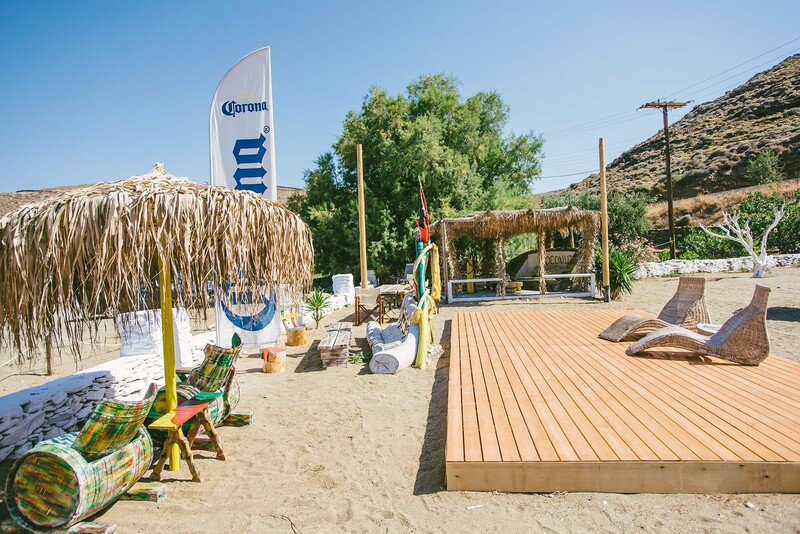 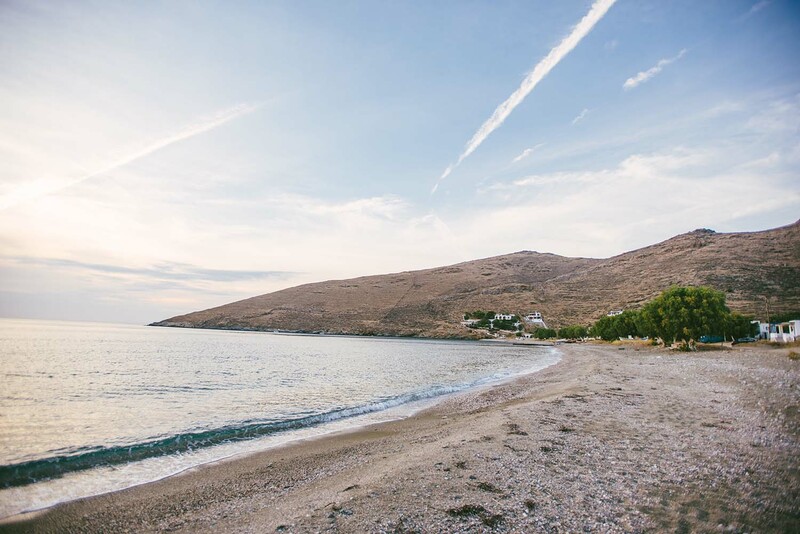 Also, make sure you visit the beach of Flambouria, heading for the settlement of Aghios Dimitrios with the homonymous beach.